Every blogger and a lot of website owners like comments. As someone wrote “comments are blood of blogs”. Without them blog looks like empty house or dead city. We all love comments. But we like them only when they are from real people, not from spambots. And there is a connection – the more popular blog is, the more spam comments it will get. 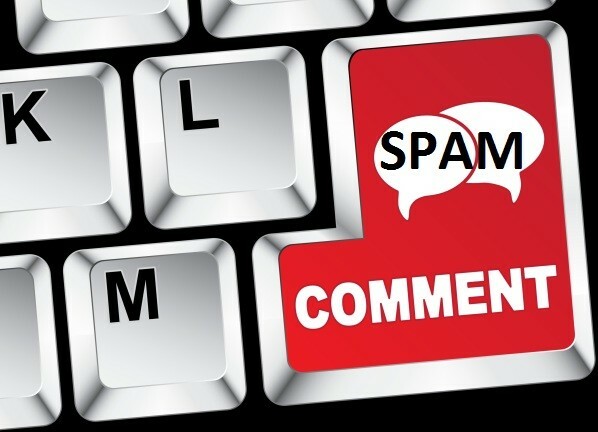 In this post I will try to show you how to stop SPAM in comments, most popular antispam software for bloggers and some funny examples of spammy comments. Okay, first of all – how you can operate with comments? After choosing 4th answer (did you choose another one?) we must decide, which software we can use. There are a lot of free and paid commenting systems we can use on WordPress, but I’ll concentrate only on most popular systems. Some of blogs use FB system for commenting. I don’t like it because I’m not the host of the comments (Facebook is the host). FB changed a lot of things recently – for example landing page disappeared. Do you want to lose all of your comments? AKISMET was the system I was using for a long time (on Polish market I still use it for some of my small niche sites). But AKISMET isn’t perfect. Sometimes it treats real comments as a spam, and sometimes treats SPAM like normal comments. What’s more, some weeks ago I made about 100 comments on a lot of blogs in two days. After it AKISMET ‘s spamfilter qualified my comments as a spam. I don’t know if they have blacklist or something similar, but on blogs where AKISMET was in use, my comments go to spam folder, without any information. Luckily after contacting with their support, problem was resolved. 3. Comment Luv free version with G.A.S.P. CommentLuv free version is the commenting system I used prior to paid version. It has some features, which other systems don’t have. Some of my friends use Disqus. I don’t use it because it doesn’t give a prize for commentators – backlinks. I like Triberr because it’s the best social tool I use, but commenting system is not my favourite. Triberr, similarly to Disqus, doesn’t reward commentators with backlinks to their websites. All of above mentioned systems can stop automatic SPAM made by SPAM bots (it’s about 95-99% of SPAM). But we still have manual, human spammers (in last two weeks I got ~40 handmade spam comments). And how I separate the wheat from the chaff? Read carefully, below I reveal my tricks. There is only one more issue to discuss about SPAM – should we accept automatically comments from people who made some real comments before? Some bloggers accept it, some bloggers don’t accept it. Why I don’t accept comments automatically? 2) Commenting systems in most cases check email, name and website to identify the commentator. But sometimes, if spammer knows some emails of your friends, he/she can pretend to be someone else and post spammy links inside the comment. Okay, I wrote everything I want about SPAM in comments, now it’s your turn. So, please share your experience with comments and anti spam software you use on your blog(s). Yes Chris, you are correct at your point. Getting more and more comments from spam-bots is nothing appreciable. Comments should only be approved if it is meaningful. Just a simple “Thanks” or “Great post” like comments usually turned out to be a spam. So, it needs to be checked before approval. For a while there I was seeing many valid comments going into my spam folder (yours included). I will have to check out the ones you referenced – I do get tired of rescuing comments from the spam. I agree with you that comments are the ‘blood of blogs’ and are sometimes even more informative than the blog itself especially when a conversation is started. Most of the blogs that I comment on at a regular basis are quite self-regulated by the community and I hardly see any spam. To me that is the best way to manage your blog in the long run. Your tips are useful – my only caveat is that I am slightly annoyed when my comment awaits approval and takes too long. This really disrupts the flow of conversation on a blog and will probably reduce my chances of visiting again. I agree with you. Most blogs that always moderate comments sometimes take too long to approve your comment, and it makes you want to not visit again in the future if your comment does not get approved nor does it get a reply from the blog author. Great post Chris. That’s about the most comprehensive post I’ve seen on spam comments and the different commenting and spam-fighting options. Thanks for sharing! Hi Tom, thanks for your support. Sometimes in my spam queue I see very funny comments and I wanted to share some of them with you. Excellent resource, Chris. These are great plugins to stop spam in comments. I’m using Akismet with Conditional captcha and it works great. I know sometimes Akismet treats normal comments as spam, but still it’s one of the best anti spam plugins out there. Hi Devesh, thanks for your comment. Akismet is still very good and, as I wrote, their support is excellent. Spam is SO annoying, especially when they include links that are totally unrelated to the post. I myself use Akismet on my site, which seems to be doing a great job since I installed it. As someone that uses Disqus, I found your comments about it interesting. You said that you don’t like it because it doesn’t give you a ‘reward’ (i.e. link) for commenting. I’m interested to know whether this puts you (or anyone else reading this) off commenting on a site. 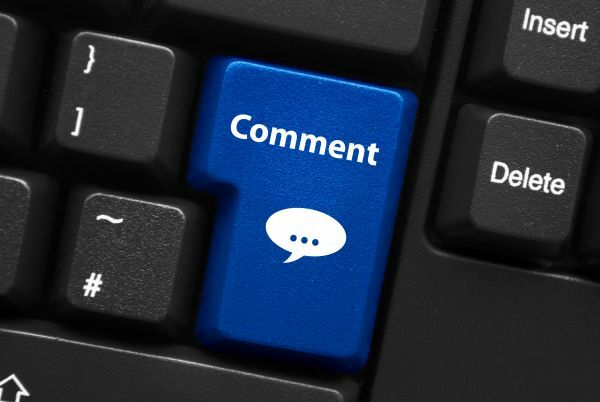 Are you less inclined to leave a comment on a Disqus using site than another? thanks for stopping by. As I wrote, I use Akismet on some of my niche sites – but sometimes normal comments land in SPAM. About your question – I comment only on some blogs with Disqus (yours, Adsense Flippers and maybe two more…). I have been using Akitmet since I first started blogging and I’m still using it on my blog. I know it is having problem these days, but not too much. As I don’t get a lot of comments on my blog like Pro Bloggers:D So I can handle it. Yeah Chris, I’m also using CommentLuv on my blog and to protect my blog from spam comments I’m still using Akismet, but soon I will try another way to get of the spam comments because Akitmet isn’t doing well. It is treating real comments as spam on my blog. Hi Chirs, great tips for anti-spam. Even though I use commentluv premium version and Askimet, there are a few spam comments that do come through. I guess they are human spammers that are personally spamming sites. The problem is we are still not immune to manual spam, but the the GASP plugin will sure work wonders to reduce automated comments. I actually use Akismet and you’ll be happy to know that it didn’t spam your comment. I also use commentluv premium and the latest version actually has more anti spam features. I actually did a video which shows how some of the features actually works. BTW – thanks for the link to the video! Using Akishmet was one of my mistakes in blogging. It really doesn’t help at all! It actually freaks out the user. They put all human comments which I really don’t like. Right now I am using GASP (it’s perfect) with commentluv.! BTW – great tips for anti-spam! Hi Ammar, thanks for stopping by. And you are right – GASP works very well. First of all….a very big congratulation for writing such a informative and problem solving article…..
Spam Comments are really nightmare for bloggers….we can’t stop them but yes we can reduce them surely…..
You have covered all the aspect of spam comments…..Type of comments, all possible solution etc…….its really a complete article about ‘Spam Comments’. you are welcome. At this moment moderating comments on this blog take me about one minute a day – so it’s not a big deal. Coca Cola test is something that I have heard for first time. I generally mark general comments as spam but the name is really imaginative. I like the GASP approach as well. Way better than captchas and thus, less of a usability blunder. You have really nice tips in this post. Retweeted. Haha.. Nice one.. The coca cola test is something funny one yet that can be used to find whether people really read the articles and comment or they just do it! Nice article. Publishing comments after author’s approval would also do! great you like it. Thanks for stopping by. Ah, that nasty hour letter word.. Spam! I hate spam. This was really a very thorough post on this yucky topic but my favorite for fighting spam is CommentLuv Premium. Yes, I did use the free version before Andy graced us with the paid version and I do agree, he continues to improve this plug-in to help us all fight this ongoing problem. I’m happy to say I don’t get as much spam as some would. But when they thank the “admin” for the post I don’t care how good their comment was it goes straight to trash. Admin? Do I have admin on any of my posts and can you not see my name all over my blog? I use to use Akismet but it would throw some legitimate comments into spam so I quickly quit using that one. I personally don’t like the other commenting systems but to each his own right. The Coca Cola test, how funny is that. I just check for gravatar, good comment and linking to a good blog. If one or none are in place then it’s trash to me. My blog is about building relationships and if you can’t take the time to follow my rules then you can’t play with the rest of us. Again, great post Chris so thank you for this one. Hi Nizam, great that you like it. This field is in discussion settings (wp-admin/options-discussion.php), section: Jetpack Subscriptions Settings (probably it doesn’t work without Jetpack plugin). We deal with spam comments a lot. Since I have some time on my hands, I just manually filter them out. It’s great to hear about Akismet, I wanna try this, because I receive lots of spam comments. Chris can you explain me how it works? You can ask how it work AKISMET support team – they are really helpful, so I’m sure that you will get answer on your question. There is definitely a flurry of spam comments these days. Often times you will get around 8 spam comments out of 10. The thing is, as you mentioned, spam commentators are trying to get smarter as they try to use a generalized comment which can fit regardless of the topic your post has. I use the free version of CommentLuv for my commenting system, which I believe attracts spam commentators. This is the very reason why I personally do manual approval of comments. If the comment is totally unrelated to the post, I trash it. Spam will always be a problem. However, a well-designed site that has taken into consideration the common spamming techniques will be able to avoid most spam. The techniques we’ve explored here should help site owners effectively to battle comment spam. Ultimately, the Webmaster needs to adapt his/her techniques to deal with spam on an ongoing basis. The secret to success, then, is continual monitoring and adaptation to spammer’s changing tactics. Spam commentators are not adding any value to your website but they want to taking the link juice for your website. So you should prevent such spammer. Thanks for sharing nice tips! Very informative post for me my blog is in its early stages so at the moment to many comments aren’t a problem. Was just trying to sort it out so that I could sort out the spam and get rid of them from the start so,hopefully when things pick up I amm already on top of things. Use of the best comment system with suitable plugins is the best way to stop spam comments on WordPress blogs. You have described good content. Thanks. I’m using Akismet plugin and I was surprised to see some genuine comments among the spam comments. This is really unfair. 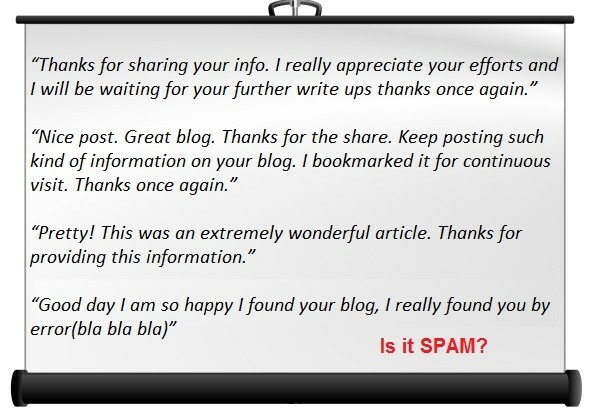 Most of the bloggers ignore to check the spam comments as they trust Akismet. I’ll try Commentluv on my blog. Thank you so much for sharing this informative article with us. Have a great day. Will this spam visitors and their comment will be counted in my page view? The tips and information given in this post is really worth notable and I am sure very useful to me people like newbies at WP. I liked that usage of Coca Cola test! Very interesting! yes, such comments will not get much attentions too! In spam generally we see my sister/friend/cousin etc found this page and suggested me to visit and thus I am here etc etc.. comments are more common in spam box comments. some may write or copy and paste two or three pages comments filled with countless back links. This is really confusing and irritating ! How to avoid or how to delete such comments in bulk is still an unanswered question! I still don’t understand why they spam comments Ok, 20 years ago, but now ? wasting energy for them and blogger. I use Akismet to stop spam!!! I use Akismet in combination with G.A.S.P. plugin. I’m also using G.A.S.P for all my wordpress blogs but also I get weired comments like 2 to 3 pages long. Thanks for adding that, Gordan. I’m using it too right now. well, all the information provided here can help fellow bloggers to keep their blogs away from spam comments. But I think you should also include “Spambot Remover” as, the plugin proved to be quite helpful for me and others too. By the way tips included in this article are valuable and need to know by every blogger. Thanks for the suggestion, Nitin! I am using Akismet which is greatly working for me but is there anyway to stop google plus, facebook and disqus spams on wordpress platform?